Here's an exciting way to show acceleration. When a ball and board are released together, the end of the board outstrips its center of mass, leaving the ball behind. The ball then drops straight into the cup. 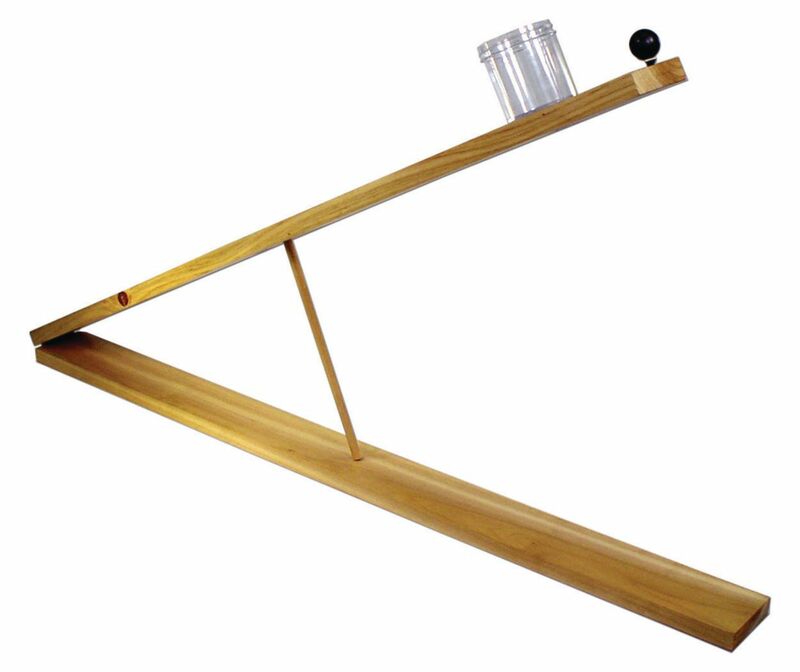 Includes: two 1 meter boards, hinged together but separated by a dowel, a cup for the included ball, and instructions.